Ahhh, mustard. One of the most fun shades but also one of the hardest to wear. I love the high contrast of wearing it with black, but think it would also go well with burgundy or bottle green (hoping to try both of these soon)! Umm, I think I spoke too soon yesterday when I said that look was my favorite. 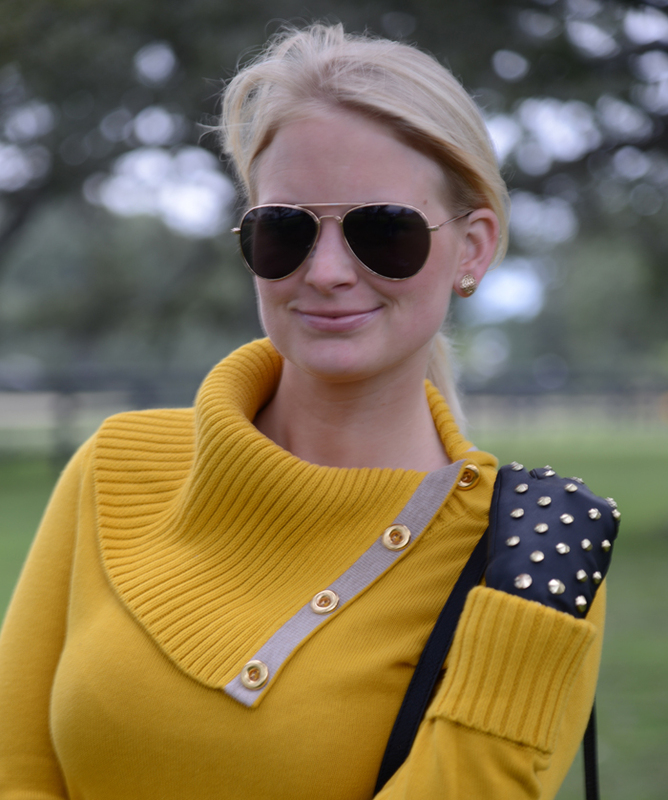 Now I can’t decide because I love this one too – leopard + mustard + leather…amazing!! Woah, those gloves are so cool! LOVE this look the best! You look gorgeous and it totally goes together perfectly! I want the shoes, gloves, shorts, sunnys and sweater!! You’ve done it again! You look amazing in that sweater! It shows off your perfect figure. I absolutely LOVE those gloves! Black with gold studs = perfection!